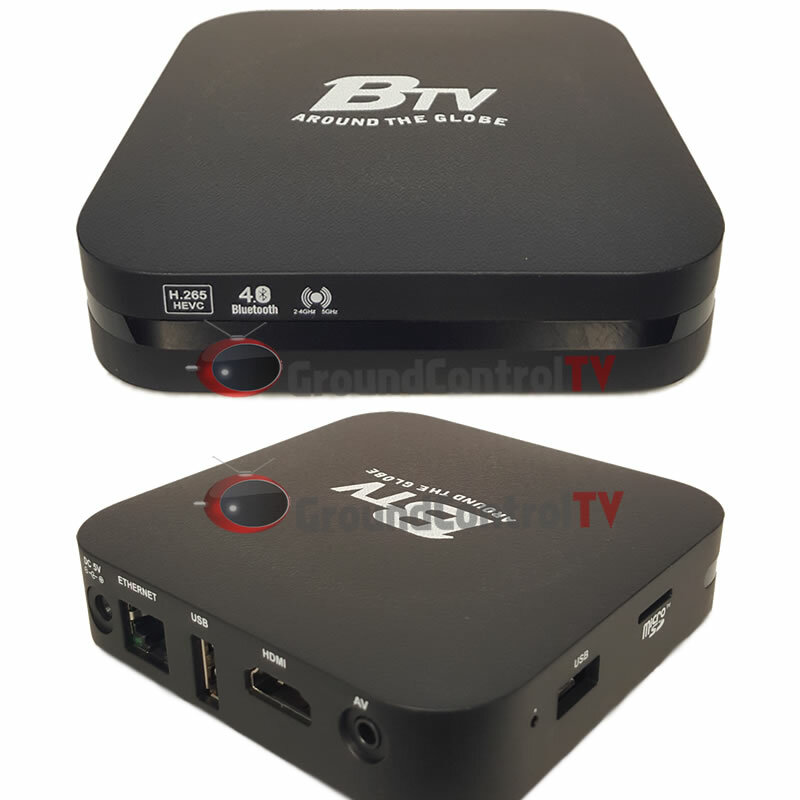 BTV Box V2 2019 Edition - Android TV based version of the popular BTV Box. Comes with 5G dual band wifi. BTV Box is a great choice for watching live Indian, Hindi, Urdu, Tamil, Pakistan, Afghan and Arbic channels. BTV is an IPTV receiver that you plug into your internet and your TV that allows you to watch hundreds of free channels from India, Pakistan, Afghanistan and more. Watch live channels from all over the world with no monthly or yearly fees for the first 2 years. All BTV Box come with 2 years of service included. Plug in the BTV box to your router via a cable or by built in wireless connection and you are ready to enjoy live channels from different countries. picture quality is good and more selection then jadoo. This is the best box I have tried so far. I upgrade to Btv from a Jadoo 4 and this one is much better. I would recommend to anyone. very reliable. freezes very rare. i like btv very much. What is CVBS connection back side of BTV box ? I am great fan of BTV I was using this box since 2012 and now finally buying a new one again it great investment this the best tv so far and I can recommend this product to everyone.